No one ever embraced life, liberty and the pursuit of happiness more lustily. Aller Retour New York is truly vintage Henry Miller, written during his most creative period, between Tropic of Cancer (1934) and Tropic of Capricorn (1939). Miller always said that his best writing was in his letters, and this unbuttoned missive to his friend Alfred Perlès is not only his longest (nearly 80 pages!) but his best—an exuberant, rambling, episodic, humorous account of his visit to New York in 1935 and return to Europe aboard a Dutch ship. Despite its high repute among Miller devotees, Aller Retour New York has never been easy to find. It was first brought out in Paris in 1935 in a limited edition, and a second edition, “Printed for Private Circulation Only,” was issued in the United States ten years later. 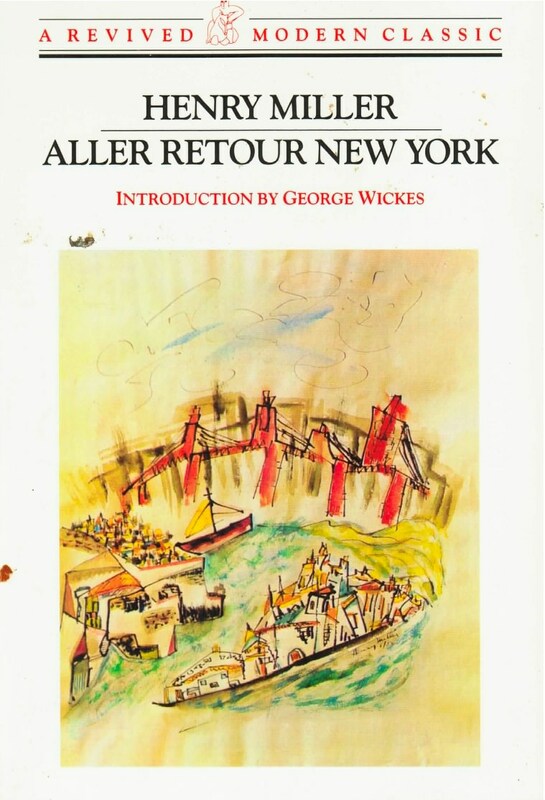 It is now available in paperback as a Revived Modern Classic, with an introduction by George Wickes that illuminates the people and personal circumstances which inform Aller Retour New York.